Late-Breaking News: Bourdain has to reschedule due to unforeseen circumstances. Event postponed, watch this space for updates. We’re very sorry and disheartened to announce the postponement of the NYC book launch of Wily Dufresne‘s wd~50: The Cookbook with Anthony Bourdain due to an unexpected emergency requiring Bourdain’s absence at the planned book launch tomorrow at New Lab. He very much wants to support the book and has committed to personally feting Dufresne and his fabulous new collector’s edition of food history of the renowned wd~50 restaurant, just released from his imprint at Ecco/HarperCollins, and has asked us to hold the event for rescheduling in Thursday, January 18th at New Lab. 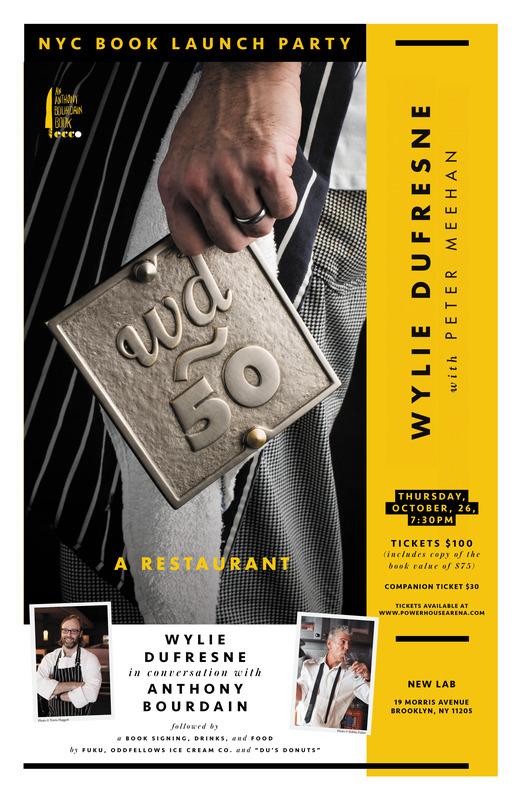 In the meantime, we are hosting Wylie Dufresne in our bookstore (28 Adams Street, at the Archway in Dumbo) on Monday, October 30 at 5:00—7:00 pm to meet you and personalize your event copies of wd~50: The Cookbook. If you wish to order a signed, personalized copy of wd~50: The Cookbook ($75 value), to be collected or sent after signing, please order here. When re-announced, each $100 ticket will come with one copy of wd~50: The Cookbook ($75 value), to be collected at the event. When re-announced, each $130 ticket will include two entries and one copy of wd~50: The Cookbook ($75 value), to be collected at the event. When it opened in 2003, wd~50 was New York’s most innovative and cutting edge fine dining restaurant. Called “a landmark for modernist cooking and one of the most influential restaurants in the world” by the New York Times, it was known for innovative dishes like aerated foie gras puffs and fried mayonnaise. Wd~50’s mastermind Wylie Dufresne ushered in a new generation of experimental and free spirited chefs with his own wildly unique approach to cooking, influenced by molecular gastronomy, cubist art, and the humblest of American classics like bagels and lox. Now, Dufresne has teamed up with Peter Meehan to bring us wd~50: The Cookbook (An Anthony Bourdain Book/Ecco), a cookbook that doubles as a behind-the-scenes director’s cut of the story of a singular, pioneering restaurant. wd~50 is a glimpse into a particular moment in New York City food culture, a time encapsulated by Dufresne’s enormously influential work at this iconic American institution. New York Times restaurant critic Pete Wells wrote on the occasion of its closing in 2014 that, “In the future we’re going to realize wd~50 was the CBGB of this era, with way nicer bathrooms.” With never-before-seen photos of the iconic wd~50 kitchen and the last days of the restaurant in service, this book will be a collectible piece of culinary memorabilia as well as an inside look into some of wd~50’s most notorious creations. 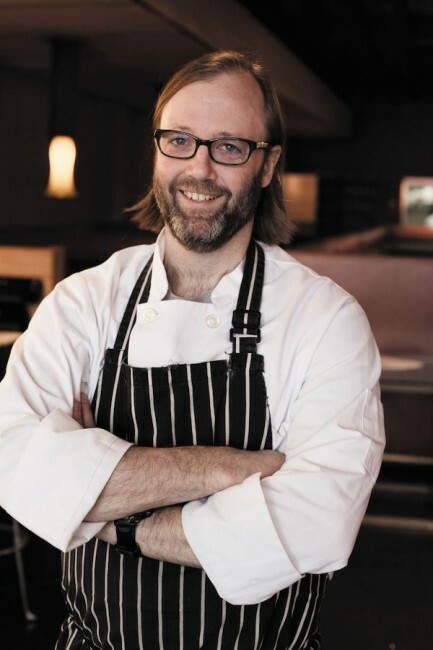 Wylie Dufresne was the chef at the celebrated 71 Clinton Fresh Food, and then at his own groundbreaking restaurant, wd~50, earning countless accolades including a James Beard Award for Best Chef, New York, and a Michelin star, until its closing. He was recently inducted into the James Beard Foundation’s distinguished list of “Who’s Who of Food & Beverage in America.” Dufresne has appeared on multiple Bravo and Food Network series and has been parodied on both Saturday Night Live and The Simpsons. Peter Meehan co-founded and edited Lucky Peach, a celebrated if doomed food magazine that lived until it was six. He has written books with chefs and by himself and gotten paid to write about eating things for magazines and newspapers including the New York Times. 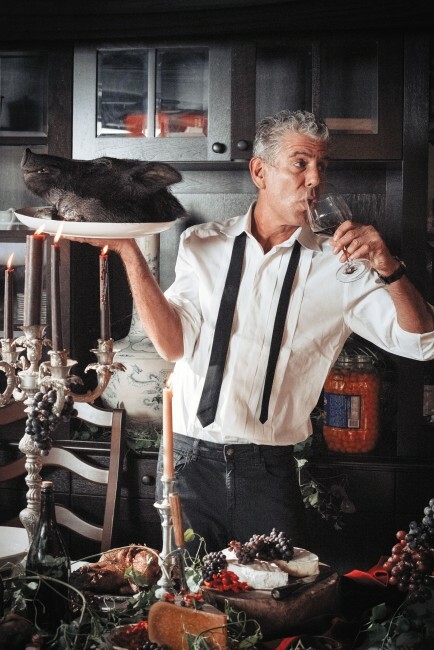 Anthony Bourdain is the author of the New York Times bestsellers Appetites, Kitchen Confidential and Medium Raw; A Cook’s Tour; the collection The Nasty Bits; the novels Bone in the Throat and Gone Bamboo; and the biographyTyphoid Mary: An Urban Historical. He has written for the New York Times and The New Yorker, among many other publications. He is the host of the Emmy and Peabody Award–winning docuseries Anthony Bourdain: Parts Unknown on CNN, and the publisher of an eponymous imprint for Ecco. He lives in New York City.